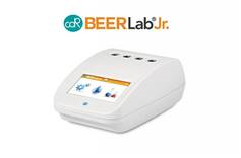 Perform quality control tests at each stage of the brewing process using the CDR BEERLab® or BEERLab® Junior. The system can be used to test a wide panel of tests for water, beer and wort with results comparable to traditional methods available within minutes. All reagents are supplied in a ready to use format, eliminating the handling of toxic compounds and washing of laboratory glassware. Minimal sample preparation, ready-to-use vials and the compact design of the BEERLab® means it can be used anywhere in the production area or in the laboratory. Following the step-by-step instructions on the easy to read LCD screen, both models will automatically calculate and display the result in the correct unit of measure. 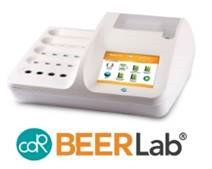 Featuring the Multi-Tasking Mode, the BEERLab® model can run several analyses simultaneously on the same sample or run the same test on 16 different samples. 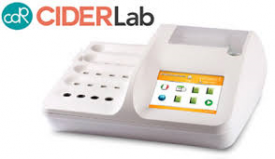 A printer is built-in to the BEERLab® allowing all results to be printed for filling or sharing with colleagues. 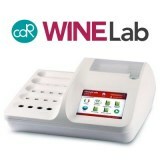 Results can also be printed when using the BEERLab® Junior thanks to the wireless link to an external printer. For complete portability, BEERLab® Junior is available with lithium batteries, enabling analysis anywhere in the brewery.